Bei der Vinyl-Schallplatte Let The Good Times Roll von Shirley & Lee handelt es sich um eine japanische LP-Pressung. Although Aladdin Records boss Eddie Mesner christened them 'The Sweethearts of the Blues' soon after I'm Gone, their self-penned debut single for his Los Angeles-based label, blasted up to #2 on the R&B hit parade in early 1953, Shirley Goodman and her equally youthful duet partner Leonard Lee weren't romantically involved with one another in reality, despite considerable recorded evidence to the contrary. In fact, Shirley & Lee's earliest Aladdin sides strongly resembled an ongoing rhythm and blues soap opera, replete with teenaged heartbreak and happy reunions. Recording in the cozy confines of Cosimo Matassa's studio in their New Orleans hometown with its brilliant house band in sizzling support, the charmingly unpolished teens acted out the ups and downs of a volatile love affair neatly summarized by their melodramatic song titles. In the wake of I'm Gone, they encored with Shirley, Come Back To Me, Shirley's Back, The Proposal, and Lee Goofed, each heartfelt ballad extending the epic tale with touching sincerity. Since this disc concentrates exclusively on the pair's rocking catalog, those ballads aren't here apart from one essential exception. 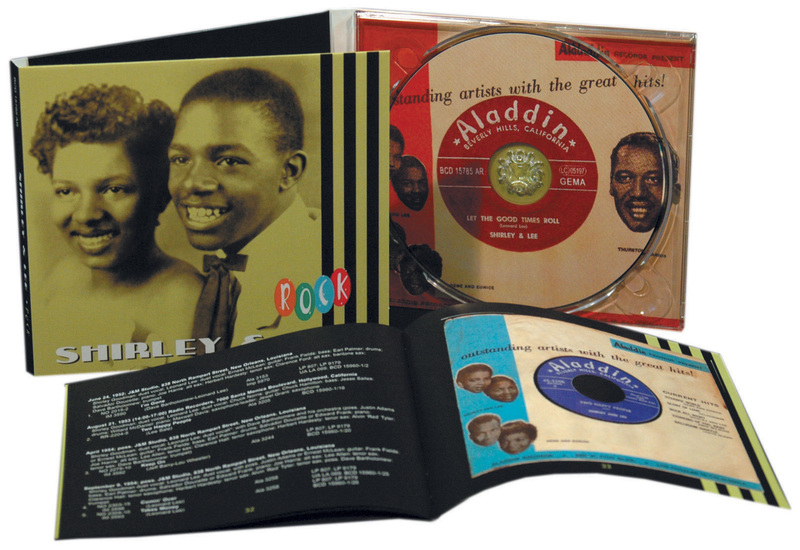 But they're readily available on Bear Family's four-CD set 'The Sweethearts of the Blues,' containing everything they ever made as a duo for Aladdin, Warwick, and Imperial. 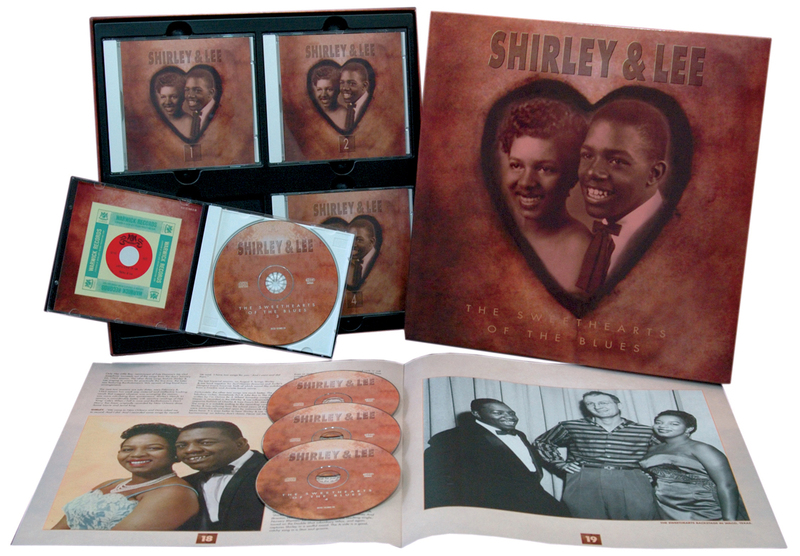 Shirley & Lee were one of the first successful male-female vocal duos in the R&B field. Under the savvy auspices of bandleader Johnny Otis, the pairing of Little Esther and Mel Walker registered a series of smashes at the dawn of the '50s for Savoy Records, but there weren't a whole lot of additional precedents. In the wake of Shirley & Lee's mid-'50s pop crossover success with the rollicking Feel So Good and Let the Good Times Roll--in both cases, rousing New Orleans rock and roll of the highest order--lovey-dovey duos were suddenly in vogue, though precious few apart from Mickey & Sylvia and Gene & Eunice experienced comparable commercial heights at the time. This non-coosome twosome didn't exactly sing duets in the classic sense because uniting their disparate voices in sweet harmony was nearly impossible. Shirley's shrill, high-pitched wail didn't mesh any too smoothly with Lee's considerably deeper range. Cosimo chuckles that Shirley's untutored delivery was "like a razor blade. We used to joke when she sang, you bleed!" So the young pair usually alternated choruses rather than struggling to find a common key that both could comfortably blend over. The result was a fresh, invigorating sound that set them apart from the pack during rock and roll's first exciting incursion upon the staid commercial mainstream. 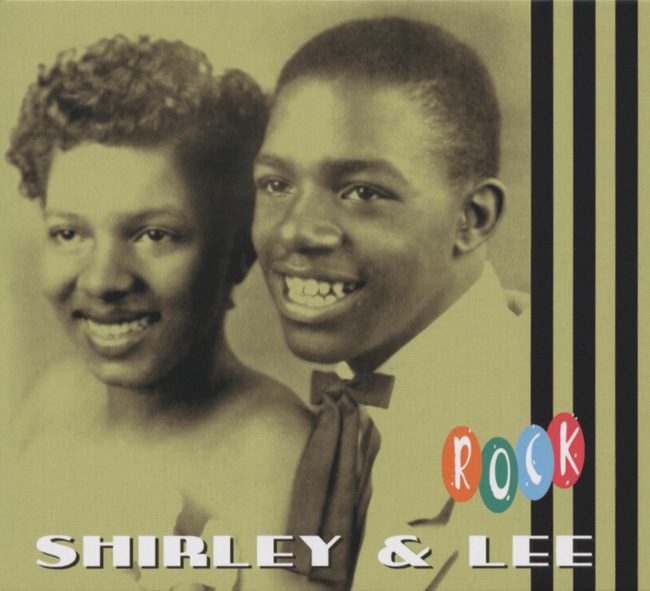 Shirley Goodman and Leonard Lee first crossed paths in elementary school, when Leonard was attending seventh grade and Shirley was in the sixth. Both were natives of the Crescent City's Seventh Ward; Shirley was born July 19, 1936 and Leonard on June 29, 1935. Music enveloped Shirley from her youngest days. Her father could pound out a mean Junker's Blues on the 88s and her grandmother, who raised her after her parents divorced, made sure the little girl had a solid Baptist upbringing that included plenty of singing in church. Leonard was the son of a Baptist preacher, so their sanctified background was shared. You'd never know it to hear her, but Shirley's early secular musical hero was saucy, sophisticated jazz and R&B chanteuse Dinah Washington. But it was a bawdy number originated by local blues singer Chubby Newsome that got Shirley over with the crowd the first time she ever sang in public. She and her cousin were regulars at the Palace Theater for the Saturday vaudeville shows, and one day the gutsy lass hopped onstage to belt out Newsome's ribald 1949 hit Hip Shakin' Mama, gyrating in a decidedly adult manner that may have looked a mite comical coming from such a young girl but reportedly delighted the audience. Shirley and Leonard were part of a large clique of neighborhood kids numbering as many as 20 that regularly assembled on a local porch to sing for one another. Their friend Evangeline Blazo had a piano at her house, so that's where the group convened to pitch in on the writing of I'm Gone, each of them contributing whatever they could to the cause. At that point, they were just performing for each other, strictly for the love of the music. Initially, singing I'm Gone could stretch on for hours, what with each member of the outsized group chiming in. Once they learned from Shirley's cousin that Matassa made custom recordings for two dollars apiece, they asked the busy engineer about the possibility of recording their homemade ditty. 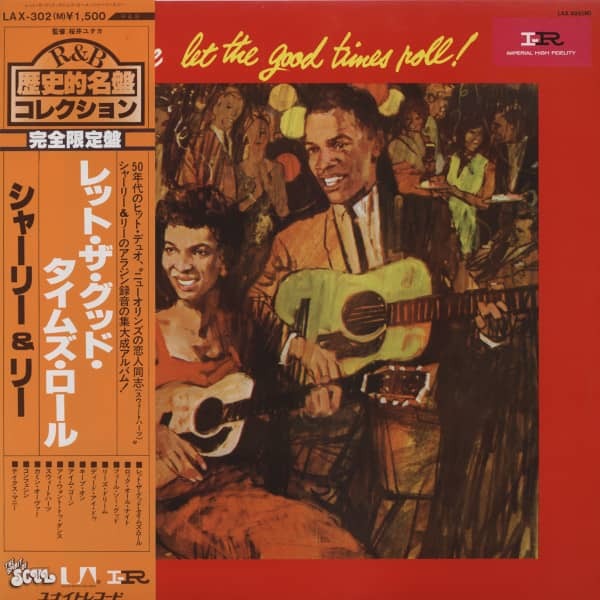 Kundenbewertungen für "Let The Good Times Roll (Japan Vinyl-LP)"